Don't miss the chance of working with CHANCE, He's a great salesman. 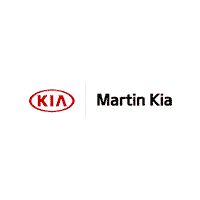 Martin Kia in Bowling Green is awesome. The Kia Sorrento that I own has been sweet, it's a 2012 and it's always been great. Awesome place! The staff here is excellent. Chance especially made my day here a lot easier! He definitely needs a raise! This is truly an amazing place. The salesman Chance really helped my husband and I out. He is really an amazing salesman! I loved working with Lauren on finding the perfect vehicle for my fiancé. Lauren made sure we were both educated on what we needed to have when we were ready to purchase our new car! I can’t wait to work with them in the future! Chance was very helpful during my time at Kia. He made sure it was a comfortable wait. My fiance and I went to look at a new car for her. This was her first experience looking at new cars and of course she was somewhat nervous. Josh made the whole experience comfortable and amazing! Because of that, she now is the proud owner of a new car! Ill be back to see Josh again when its my turn . Visited the Dealership and was warmly greeted by Lauren. The showroom was clean and inviting. The salespeople were friendly. Mark and Lauren are amazing at their jobs. Very professional yet down to earth. I can not ask for a better team of sales people. You will not walk out of this location feeling pressure . The team makes sure your needs are met without feeling overly pushy. We were greeted by Chance Conn at the door immediately asking what we were interested in and trying to make that sale,he was friendly and eager. We had an appointment with Lauren James who was also amazing with us. This is a great place to buy a car their staff is amazing. The friendliest I've ever encounter. Mark the GM is also a great person to work with.